Low-grade inflammation is closely related to obesity, and plays a crucial role in many of the complications associated with obesity, e.g. type 2 diabetes and cardiovascular disease (CVD) [1, 2]. Several circulating cytokines are involved in the mediation of inflammatory reactions . Interleukin 6 (IL-6) and interleukin 1 (IL-1) play key roles in both acute inflammatory reactions and chronic inflammatory disorders, whereas the IL-1-receptor antagonist (IL-1RA) serves as an inhibitor of IL-1 action . Monocyte chemoattractant protein-1 (MCP-1) recruits monocytes into atherosclerotic lesions, thereby promoting atherosclerosis . High-sensitive C-reactive protein (hsCRP) is found to be an independent predictor of future cardiovascular events . In contrast, the adipocyte-specific protein adiponectin possesses anti-inflammatory and anti-atherogenic properties . Dietary nutrients may play different roles in modulating low-grade inflammation [7-9], e.g. saturated fatty acids (SFAs) are considered to induce inflammation . Dairy fat contains a high amount of SFAs; it is thus suspected to induce inflammation and thereby to increase CVD risk. However, data suggest that dairy products do not exert adverse effects on CVD risk and low-grade inflammation [11-15]; some investigators even found a decreased level of inflammatory markers associated with the consumption of dairy products . In this regard, Bordoni et al. found that the anti-inflammatory properties were characteristic of both low- and high-fat dairy products , but a better understanding of the relationship between dairy protein, dairy fat, and chronic diseases is essential . Dairy products contain a high amount of medium-chain SFAs (MC-SFAs) (chain length C6-C12), whose biological actions differ from that of long-chain SFAs (LC-SFAs) (chain length C ≥ 14), which is mainly due to different degradation routes. MC-SFAs are transported directly to the liver after absorption, whereas LC-SFAs are incorporated into chylomicrons . Therefore, it would be helpful to investigate specific fatty acid compositions to clarify their effects on low-grade inflammation in humans. Other dairy components, such as protein and amino acid composition, may also have anti-inflammatory properties which might overcome the potential negative effects of the SFAs. However, this has yet to be investigated [20, 21]. Interestingly, it is observed that an enteral nutrition formula containing whey protein resulted in a lower IL-6 level in ischemic stroke patients when compared with a formula containing casein . In an acute setting, differential effects on postprandial inflammation related to the protein type were observed . This highlights the need to distinguish the effects of the specific types of dairy protein on low-grade inflammation. To this end, we tested whether individual dairy food components may differ in their effects on inflammatory cytokines and gene expression. We hypothesized that MC-SFA-enriched milk fat and whey protein would have beneficial effects, downregulating inflammation in abdominally obese adults, compared with casein and with milk fat low in MC-SFAs. This has been explored following a 12-week, randomized, double-blinded, parallel-controlled, diet intervention study of dietary supplementation with whey protein and MC-SFA-enriched milk fat on circulating inflammatory markers (both fasting and postprandial), and on the expression of inflammatory genes in the subcutaneous adipose tissue. The present study is part of the DairyHealth Study that investigates the effects of MC-SFA and milk protein on postprandial lipemia . The study was carried out at the Departments of Endocrinology and Internal Medicine, Aarhus University Hospital, between October 2011 and December 2012. The study was conducted in accordance with the Declaration of Helsinki, and approved by The Central Denmark Regional Committees on Health Research Ethics. The daily supplement of milk protein was 60 g, and the daily supplement of milk fat 63 g, with 6.9 g of MC-SFAs in the low-MC-SFA groups and 8.5 g of MC-SFAs in the high-MC-SFA groups. The difference in fatty acid composition in the 2 types of butter was obtained by using a targeted cattle feeding regimen (for further details, see earlier study ). The study participants were advised to keep their body weight constant, and not to change their physical activity level, smoking habits, alcohol consumption, and drug treatment during the study. Dietary guidance was given on how to include the test supplementation in the participants' habitual nutrition. Dietary records were obtained before and at the end of the 12-week study (for further details, see earlier study ). As described earlier , we screened 74 and randomized 63 individuals; 52 participants completed the study. The inclusion criteria were age ≥18 years, abdominal obesity (waist circumference of ≥94 cm for men and ≥80 cm for women), and weight stability. The main exclusion criteria were diabetes, severe cardiovascular, renal, or endocrine disease, substance abuse, and pregnancy. After receiving oral and written information, and signing the informed consent form, the patients underwent a screening visit. If the study participants fulfilled the inclusion criteria, and met none of the exclusion criteria, they received a test meal. Afterwards, adipose tissue biopsies were performed. This procedure was repeated at the end of the 12-week intervention. At the day of the test meal, the participants arrived at the clinic at 07.30 after an overnight fast. Initially, a fasting adipose tissue biopsy was performed. Subsequently, fasting blood samples were taken (time 0 min) through a catheter in a cubital vein, and then the test meal was consumed. The test meal had an energy content of 4,500 kJ (with 65 energy percent (E%) as fat, 19 E% as carbohydrates, and 16 E% as protein). Fasting blood samples for IL-6, IL-1RA, hsCRP, adiponectin, and MCP-1 were taken at time 0 min, and postprandial blood samples for MCP-1 were taken at 15, 30, 60, 120, and 240 min. In one subject, intravenous access proved to be impossible at the post-intervention test meal, and therefore no circulating inflammatory markers were obtained from this participant. The postprandial adipose tissue biopsies were performed at 240 min. Blood samples for measuring IL-6, IL-1RA, and adiponectin were immediately centrifuged at 2,000 X g for 15 min at 4°C, and then the plasma samples were frozen at -20°C and stored at -80°C the next day. Blood samples for measuring hsCRP and MCP-1 were left at room temperature for 30 min, before they were centrifuged at 2,000 X g for 15 min at 20°C. Afterwards, serum was frozen at -20°C, and stored at -80°C the next day. Measurement of plasma IL-6 was performed using a human Quantikine® high-sensitivity ELISA IL-6 kit (cat. HS600B, R&D Systems, Minneapolis, MN, USA), with detection range (DR) of 0.02-0.11 pg/ml and intra- and inter-assay precision of 7.8% and 9.6%, respectively. Plasma IL-1RA was measured using a human Quantikine® ELISA IL-1RA kit (cat. DRA00B, R&D Systems, Minneapolis, MN, USA), with DR of 2.2-18.3 pg/ml and intra- and inter-assay precision of 5.7% and 10.3%, respectively. Plasma adiponectin was measured with a human ELISA adiponectin kit (cat. UM-100101, B-Bridge International Inc., Santa Clara, CA, USA), with DR of 0.4-12.0 ng/ml and intra- and inter-assay precision of 4.6-5.8% and 3.2-7.3%, respectively. Serum hsCRP was measured with a highly sensitive human ELISA CRP kit (cat. EIA-3954, DRG Diagnostics GmbH, Marburg, Germany), with DR of 0.1-10.0 mg/l and intra- and inter-assay precision of 7.5% and 4.1%, respectively. Measurement of serum MCP-1 was performed using the human Duoset® ELISA kit (cat. DY279, R&D systems, Minneapolis, MN, USA), with DR of 15.6-1,000 pg/ml and intra- and inter-assay precision of 9.6% and 11.4%, respectively. The fat biopsy procedure has been described in detail previously . In short, abdominal subcutaneous fat biopsies were performed at baseline (fasting) and 240 min postprandial. The fat specimens were sampled via two separate incisions to avoid a potential secondary inflammatory reaction from the baseline biopsy in the postprandial biopsy. RNA was isolated from the adipose tissue using a Trizol-based extraction method (for further details, see earlier study ), and gene expression analyses were performed by AROS Applied Biotechnology AS (Aarhus, Denmark), using real-time PCR with predesigned primers and Tag-Man assays from Applied Biosystems (Life Technologies, Naerum, Denmark). Adipose tissue specimens were not obtained from three participants (one refused the post-intervention biopsy, and biopsies were not completed in two participants because of bleeding). Furthermore, adipose tissue from two participants was destroyed prior to gene analysis because of early defrosting. The power calculation for the DairyHealth Study was based on postprandial triacylglycerol . The 2-factor ANOVA model was used to investigate the effects of the specific fatty acid composition and protein type on circulating inflammatory markers, and adipose tissue inflammatory gene expression. The 2-factor ANOVA model was also used to investigate potential interactions between the milk fat and milk proteins. Normality and equal variance were assessed by histograms, Q-Q plots, and Bland-Altman plots. The results were given as mean ± 95% CI, if these criteria were fulfilled; if not, data were logarithmically transformed, and results expressed as median ± 95% CI. Postprandial MCP-1 was calculated as incremental area under the curve (iAUC) for 240 min. The effects of the dietary supplementations on gene expression were assessed by changes in RNA normalized to the mean of 2 reference genes (RNA polymerase II and β2-microglobulin). The changes in gene expression were determined according to the PrimeTime® qPCR Application Guide (Integrated DNA Technologies Inc, Leuven, Belgium), as described in detail previously . Gene expressions are stated as median ± 95% CI, and graphically presented as geometric mean ± 95% CI. The 1-factor ANOVA model was used to determine if a change in one group differed from the changes in the other groups, and the 2-factor ANOVA model was used to determine whether the changes in gene expression were related to the specific type of protein or fatty acid composition. The false discovery rate (FDR) correction  was used to address the problem with multiple testing; only significant results after this correction are discussed and presented in the figures. When differences between changes per groups were observed, p-values after Bonferroni correction were given. We used STATA version 12 (StataCorp LP, TX, USA) for statistical calculations, and GraphPad Prism 6 (GraphPad Software, CA, USA) to generate the graphs. A total of 52 participants completed the study (for flow chart, see earlier study ). A complete set of circulating inflammatory markers and adipose tissue samples were obtained from 51 and 49 participants, respectively. Baseline characteristics have been described in detail previously . In short, mean age per group ranged from 50.0 to 61.1 years, mean weight from 85.1 to 87.8 kg, mean BMI from 28.2 to 29.5 kg/m2, percentage of females from 46% to 62%, and the percentage of participants with metabolic syndrome from 46% to 54%. Baseline values and changes in fasting IL-6, IL-1RA, hsCRP, adiponectin (presented in total and by gender), and MCP-1 are given in Table 1. Changes in postprandial MCP-1 are also included in the table. We observed no changes in IL-6, IL-1RA, hsCRP, and MCP-1 in relation to the specific fatty acid composition or the specific protein type. Furthermore, we observed no interaction between milk fat and milk protein regarding circulating inflammatory markers. Adjustments for gender and age did not significantly alter these results. Legend: a Values are medians, 95% CI in parentheses. b Median ratios, 95% CI in parentheses (week 12 / week 0). c Men, n = 5, 7, 7, 6 in the four groups, respectively. d Women, n = 8, 5, 6, 7 in the four groups, respectively. * n = 12. Abbreviations: MC-SFA – medium-chain saturated fatty acids, PP – postprandial, IL-6 – interleukin 6, IL-1RA – interleukin 1 receptor antagonist, HsCRP – high sensitive C-reactive protein, MCP-1 – monocyte chemoattractant protein 1. We found no effect of the intervention on total adiponectin (p = 0.362 and p = 0.922 for protein type and MC-SFA content, respectively). However, when changes in adiponectin were divided by gender in a post-hoc analysis, high-MC-SFA butter consumption for 12-weeks increased circulating adiponectin by 8% (95% CI: 1, 17; p = 0.036) in abdominally obese women. Adiponectin concentration was not related to MC-SFA content in men (p = 0.122). We observed no interaction between milk fat/protein and adiponectin (in total and by gender). Figure 1 shows the relative changes in the expression of the genes listed above. The fasting gene expression of IL-1RA was upregulated by 84% in the CL group after the intervention (95% CI: 13, 199; p = 0.0183) compared with the fasting gene expression at baseline. The fasting gene expression of IL-1RA was downregulated by 56% (95% CI: 19, 0.76; p = 0.013) in the CH group. The change in IL-1RA differed significantly between the CL and the CH group (p = 0.002, after Bonferroni correction). Although we observed a significant effect of the fatty acid composition (p = 0.001), the change in IL-1RA gene expression cannot be explained exclusively by the difference in fatty acid composition. Thus, we also found an interaction between milk fat and milk protein (p = 0.043). Figure 1. 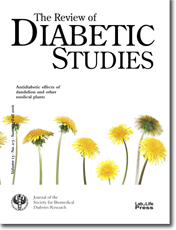 Relative changes in the gene expression of selected inflammatory genes (MCP-1, CCL5, IL-1β, IL-1RA, IL-6, IL-10, ADIPOQ, ADIPOR1, ADIPOR2, and NF-κβ) in abdominal subcutaneous adipose tissue (geometric mean ± 95% CI). The figure shows the fasting post-intervention gene expression relative to pre-intervention fasting gene expression. 1st PP and 2nd PP show the relative changes from the fasting to the postprandial (PP) gene expression before and after intervention, respectively. a: One-sample mean comparison using paired student's t-test, post-intervention fasting gene expression relative to pre-intervention fasting gene expression, p < 0.05 after FDR correction. b: One-sample mean comparison using paired student's t-test, postprandial gene expression relative to fasting gene expression before intervention, p < 0.05 after FDR correction. d: Two-sample mean comparison using paired student's t-test, relative change in postprandial gene expression, post-intervention compared with pre-intervention, p < 0.05 after FDR correction. * One-way ANOVA comparison of changes in the four groups, p < 0.05 after Bonferroni correction. Fasting ADIPOR2 was upregulated in the CH group by 37% after the intervention (95% CI: 20, 57; p < 0.001), which significantly differed from the changes in the WL, WH, and CL group (p = 0.046, p = 0.002, and p = 0.001, respectively, after Bonferroni correction). Interaction was found between milk fat and milk protein (p < 0.001) such that the upregulation depended on the combination of casein and high MC-SFA. No individual effect of the specific fatty acid composition or protein type was detected. No changes were observed after the intervention in fasting MCP-1, CCL5, IL-1β, IL-6, IL-10, ADIPOQ, ADIPOR1, and NF-κβ. We observed upregulation in some of the postprandial gene expressions at baseline. The postprandial gene expression of MCP-1 was significantly upregulated by 49% (95% CI: 12, 97; p = 0.010), 65% (95% CI: 22, 125; p = 0.004), and 56% (8, 126; p = 0.023) in the WL, CL, and CH group, respectively. The postprandial MCP-1 gene expressions did not differ between the four groups (p = 0.976), and did not differ from the post-intervention responses. Thus, no effect of the 12-week dietary intervention was observed regarding changes in postprandial expression of the MCP-1 gene. The postprandial gene expression of IL-6 was upregulated by 52% (95% CI: 13, 103; p = 0.009) in the WL group at baseline. However, this upregulation did not differ from the postprandial changes in IL-6 gene expressions in the other groups (p = 0.766), and did not differ from the postprandial response in the group after the 12-week dietary intervention (p = 0.439). The postprandial gene expression of IL-10 was significantly upregulated by 56% (95% CI: 8, 125; p = 0.022), 47% (95% CI: 15, 88; p = 0.005), and 38% (95% CI: 5, 83; p = 0.025) at baseline in the WH, CL, and CH group, respectively. The four groups did not differ in postprandial responses to the initial meal test (p = 0.585). Furthermore, the responses of the IL-10 gene expressions did not differ between the pre- and post-intervention meal test in any of the groups. Postprandial gene expression of ADIPOR2 was upregulated by 22% in the WH group after intervention compared with the postprandial expression at baseline (95% CI: 6, 36; p = 0.009). This upregulation differed from the changes in CH (p = 0.002, after Bonferroni correction). However, the difference was present only in the interaction with high MC-SFA (p = 0.002), and not with low MC-SFA. No changes in postprandial CCL5, IL-1β, IL-1RA, ADIPOQ, ADIPOR1, or NF-κβ were observed at baseline. No significant differences between the pre- and post-intervention postprandial expressions were observed regarding the MCP-1, CCL5, IL-1β, IL-1RA, IL-6, IL-10, ADIPOQ, ADIPOR1, and NF-κβ gene. This study investigated the effect of dietary supplementation with either whey protein or casein and dairy fat high or low in MC-SFA on low-grade inflammation. Low-grade inflammation was investigated by a number of circulating inflammatory markers and adipose tissue inflammatory gene expression. We studied low-grade inflammation both in the fasting and postprandial state. The major finding has been the absence of significant changes after 12 weeks in any of the circulating inflammatory markers measured, except for an increase in adiponectin in response to MC-SFA-enriched milk fat in abdominally obese women. SFA was found to induce inflammation . Dairy fat is suspected to induce inflammation, and thereby to increase the risk of CVD, which is caused by its high SFA content. However, a significant proportion of the SFAs in dairy products are MC-SFAs. MC-SFAs are characterized by distinct biological effects which differ from LC-SFAs, mainly because of different degradation routes. MC-SFAs (C ≤ 12) are transported directly to the liver, whereas LC-SFAs are incorporated into chylomicrons . After hydrolysis of triacylglycerol from the chylomicrons, the chylomicron remnants can take part in the formation of atherosclerotic plaques . The observed pro-inflammatory effects of SFAs are mainly due to the effect of palmitic (C16:0) and stearic (C18:0) acids, which are found to increase adipose tissue gene expression of NF-κβ, IL-6, and MCP-1, and to decrease the expression of the ADIPOQ gene , whereas short- and MC-SFA may improve or have a neutral effect on the inflammatory profile . This may be the reason why no association between low-grade inflammation and the consumption of dairy products is reported, despite the high SFA content of dairy products [11-13, 16]. Interestingly, we observed an increase in adiponectin in abdominally obese women after high- compared with low-MC-SFA consumption. This finding is in accordance with Da Silva and Rudkowska (2015) . It is unknown why the association was only present in women. However, the result has to be regarded cautiously because of the low number of women included. Also, the result needs to be repeated in a larger population. We observed no difference in circulating IL-6, IL-1RA, hsCRP, or MCP-1 levels in relation to MC-SFA content. This is in accordance with the study conducted by Nestel et al. which shows that single high-fat meals containing four different full-fat dairy products did not increase circulating inflammatory markers (e.g. IL-6, IL-1β, hsCRP, and MCP-1) . However, we cannot exclude the possibility that the difference in MC-SFAs between the two types of butter we applied was too small to elicit a difference in the circulating markers of low-grade inflammation. It may be possible that other factors in the fatty acid profile have affected the results. The unsaturated oleic acid (C18:1n9) was concomitantly decreased as a result of the targeted cattle feeding regimen to increase MC-SFAs . Data suggest an anti-inflammatory role of oleic acid . Thus, a reduction of oleic acid may have neutralized a potential beneficial effect of the increase in MC-SFAs. We observed an upregulation of the IL-1RA gene expression in the CL group, which differed from the downregulation of the IL-1RA gene expression in the CH group. This difference was significantly related to the specific fatty acid composition. However, the change in IL-1RA expression could not be related exclusively to the fatty acid composition because of interaction between milk fat and milk protein. This situation could reflect a statistical power problem, since our study had lipid levels as primary end-point. The observed change in IL1-RA gene expression is interesting, because elevated IL1-RA is a sensitive marker of inflammation, and predicts the onset of type 2 diabetes [29, 30]. It is noteworthy that IL-1RA was found to be elevated after consumption of a western-style control diet compared with a healthy Nordic diet in the SYSDIET study , and that the increase was associated with an increased intake of SFAs in the control diet. However, our results indicate that it may be of relevance to distinguish between the different sources and compositions of SFAs, when evaluating the association between inflammation and SFA. Other components in dairy products such as milk protein may have anti-inflammatory properties which compensate for the potential pro-inflammatory properties of SFAs. Whey protein contains several proteins to which anti-inflammatory properties are attributed (e.g. lactoferrin, β-lactoglobulin, and α-lactalbumin) in vitro and in animal studies [20, 32, 33]. Furthermore, a recent meta-analysis found that a whey supplement of 20 g/day or more significantly lowered CRP in human adults . In a previous acute study, we found that postprandial low-grade inflammation was affected differently by selected protein sources, and that whey resulted in a lower level of circulating CCL5 than casein . In the present long-term study, we observed no changes in the inflammatory profile related to a specific type of protein after the intervention. In accordance with the present results, Pal et al. found no changes in pro-inflammatory markers after 12 weeks of supplementation with 54 g of whey protein . Although we observed an increase in postprandial ADIPOR2 gene expression in the WH group after intervention, an effect that differed from the change in postprandial ADIPOR2 gene expression in the CH group, this could not exclusively be related to protein type because of possible interactions between protein and fat. However, we have previously demonstrated that the numbers of non-fasting chylomicrons were reduced after 12-week supplementation with whey protein compared to casein , indicating that whey protein may exert beneficial effects on CVD risk, even though we did not detect any effect on low-grade inflammation in the present study. The strengths of our study are based on the double-blinded and randomized design. However, the study is limited by the fact that our power calculation was based on postprandial triacylglycerol , and not inflammatory markers. It would be of interest to evaluate whether the interactions between dairy fat and dairy protein with respect to gene expressions are still present with an increased number of observations. It would also be of interest to investigate the isolated effects of different fatty acid compositions and protein types. This would enable us to verify whether the lack of change in circulating inflammatory markers in the present study truly reflected a neutral effect of both protein and butter, or whether the components affected the circulating inflammatory markers in the opposite direction, thereby neutralizing each other. As mentioned above, we cannot exclude the possibility that a greater difference in MC-SFA content would have affected low-grade inflammation. However, we aimed to increase the amount of MC-SFA only by using natural feeding strategies, leading to a maximal obtained difference of 1.6 g/day in the present study. In conclusion, our results did not support our hypothesis that whey protein and milk fat enriched in MC-SFAs have beneficial properties in terms of reducing inflammation when compared with casein or milk fat low in MC-SFAs. An exception was the increase in circulating adiponectin in abdominally obese women after high- compared with low-MC-SFA consumption. Funding: This work was supported by grants from the Danish Council for Strategic Research (DSF 0603-00419B), the Danish Dairy Research Foundation, and Arla Food Ingredients Group P/S. Trial proteins were provided by Arla Foods Ingredients Group P/S. AB was supported by the Danish Diabetes Academy, Novo Nordisk Foundation, and Aarhus University. Clinicaltrials.gov: NCT01472666. Disclosures: All authors declare that there are no conflicts of interests in relation to the creation and publication of this paper. Acknowledgments: We thank Tove Skrumsager, Eva Mølgaard Jensen, and Lene Trudsø for their excellent technical assistance. We also thank Kia Valum Rasmussen, Allan Stubbe Christensen, Annemarie Kruse, Peter Reiter, Zohrah Rahmatyar, and Anne Grethe Schioldan for their assistance in the interaction with the study participants. MB, SG, and KH designed the study. MB and AB conducted the research. MB analyzed the data. MB, SG, and KH wrote the paper. MB had primary responsibility for the final content of the paper. All authors read and approved the final manuscript.